Whether you're over Valentine's Day or can't get enough of it, you will enjoy the new tourney room with more chances of winning, bigger jackpots and incredible extra prizes eh! Love will definitely be in the air! At CanadianDollarBingo.com love isn't a one-night thing, our love for bingo will last all month long. February is a time for friends, fun, and winning, so get ready to yell bingo! One x $500 GUARANTEED game. Three x $150 GUARANTEED games. Six x $100 GUARANTEED games. You’ll love the jackpot action in the Bingo Tourney Room every Wednesday, Friday, Saturday & Sunday at 10pm (EST) throughout February. (Exclusive Room – Join in, Deposit to unlock this room). To share the bingo love, simply register with $25 cash. The $25 CASH fee covers the automatic pre-bought cards for all games, including the $10,000 CA, $5,000 CA, and $1,000 CA follow by $100-$500 multipart GUARANTEED GAMES such as the Candy, Flowers, Friends, Hearts, Kiss, and much more… (Fair and Square/12 cards per game). Roses are red. Violets are blue. We've got lots of surprises in store for you! Keep your eyes wide open for weekly giveaways, contest and deposit deals on our facebook page for a little bit of EXTRA ROOMIE L-O-V-E! 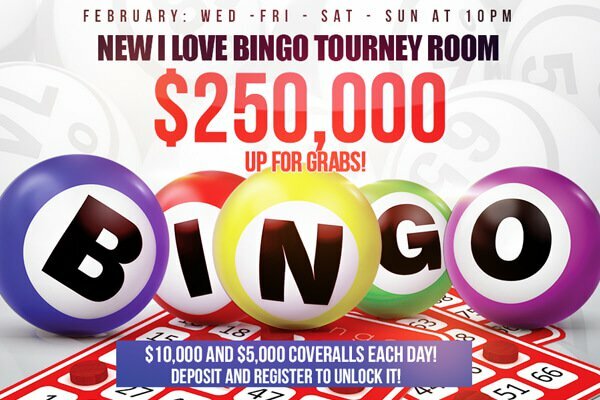 WIN YOUR SHARE of up to $250,000 IN CASH & PRIZES this February, see you in the bingo rooms! This entry was posted in Blog on Feb 7, 2018 by Canadian Dollar Bingo.